Notes: With Halloween in a few days, I thought I'd turn to some darker material. I have not read this author before. 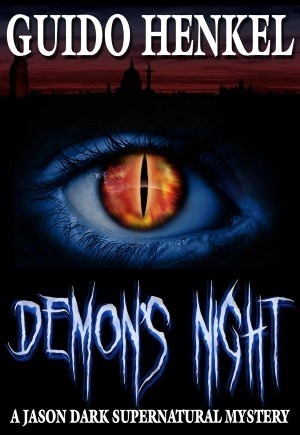 Mini review: A 19th Century private detective (of sorts) finds himself teaming up with a Chinese martial arts master to tackle a demon stalking the streets of London. Didn't this one star Jackie Chan and Owen Wilson? Just kidding. The writing here is pretty good, though it does show signs of inexperience. The story itself is interesting enough to keep me reading, and the ending is strong without being fully expected. Not bad. This week over at Nerdarchy, I interview Andrew Dunn and Kyle Roberts, the founders of Armored Instinct, a new armored combat sports organization that plans to have its first bout next month. 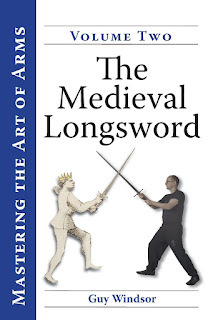 Notes: This book is apparently a more up-to-date training manual for the longsword than the one I read earlier this year from the author, with more historical research having been done. If you're wondering why this is a "volume 2," it's because the first volume focuses upon the dagger, a subject which I'm not ready to tackle at the moment. 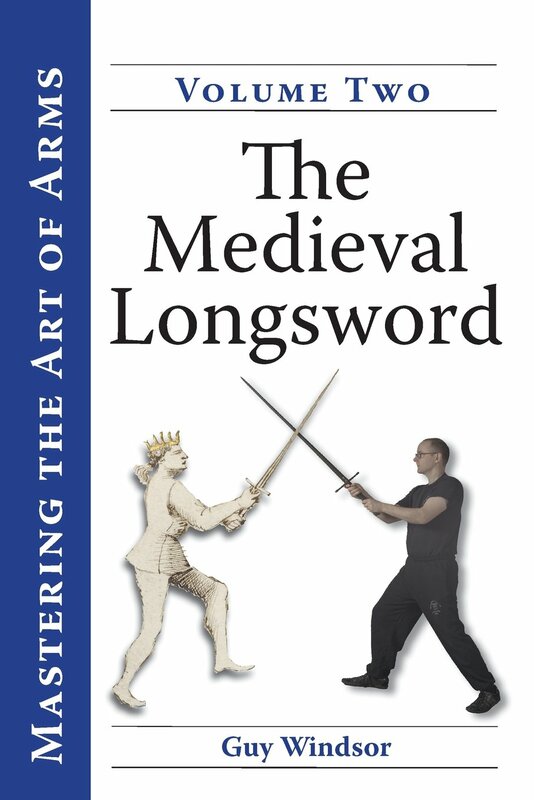 Mini review: As with the Windsor book I had read earlier, the focus here is upon the Italian tradition, mainly from the 14th-15th Century fencing master Fiore. 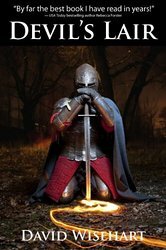 I've come to the conclusion that I might prefer to study the German longsword tradition, mainly because I'm thinking the Fiore tradition focuses more upon wrestling and holds than I would prefer. That being said, Fiore should definitely be studied by longsword fencers as he offers some unique moves, especially blows that might catch the unfamiliar off guard. My next studies will probably be in the German tradition, and from there I will decide which general school I will stick with. This week my Nerdarchy article offers basic some advice to dungeon masters and game masters for tabletop role playing games. Notes: It's time to get back to some fiction reading, so I thought I'd ease myself in with this historical novel that kicks off in 1349 A.D.
Mini review: Not a bad book. Not great, but not bad. There were a few signs of a lesser experienced writer, such as numerous passive sentences, but over all the writing was easy to read though still with a good vocabulary. 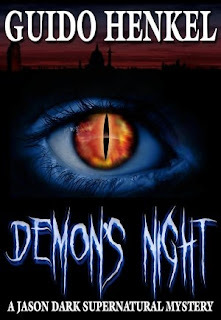 Not an action-oriented novel, the intrigue helped with the flow of this tale about a group of adventurers (sort of) who follow Dante's footsteps on a quest into Hell itself. Those who are fans of Dante and Medieval history will likely find some things to like here. My Nerdarchy article for this week takes a brief look at the Edwin and Terry Murray Collection of Pulp Culture at Duke University. This collection has thousands of comic books, role playing games, card games, memorabilia, etc. Notes: Back in the '90s when indie comic books came into their own, I followed this one, Stray Bullets, for some little while. I remember it being a great noir story told across multiple timelines with some goofballness to it. 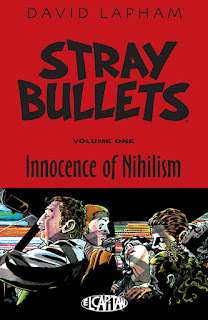 Well, I ran across this collection of the first half dozen or so issues, and thought I'd check it out again, especially as I've been reading so much serious non-fiction of late and needed something of a break from it. Mini review: Fine writing, but not quite as good as I remember, though I'm now looking at this tale with the eyes of a 40-something instead of a 20-something. The oddball aspects still worked for me, though sometimes I felt they streamed over into melodrama, sort of trying to be cool just for the sake of it. Also, whereas I had remembered these stories as flying along, now they seemed a bit slow to me; maybe that's because of my having read this before, or perhaps it shows my level of attention now in the Internet age. Still, over all, yeah, I could recommend this. Anyone wanting to get into some noir comics, this would be a great place to start, but be prepared for adult material. Notes: The author's proposed subject matter here is that early civilization collapsed in the 12th Century B.C. and this created a dark age that lasted at least a few hundreds years until Greek civilization rose in a form of renaissance, followed up by Carthage, Rome, etc. 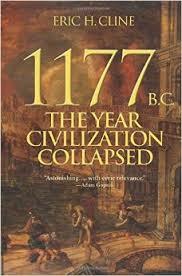 The author also seems to suggest this time in history has a lot of co-relations with our modern world. I find all this fascinating. I guess that's why I'm reading the book, and probably why I minored in ancient history in college. Mini review: The author does a fine job of outlining multiple possible causes for a general collapse of Bronze Age civilization about 1177 B.C., but he concludes there is no real way of knowing (at least not yet) what caused this collapse, though he tends towards a mixture of reasons such as famine, internal strife, wars, mass population shifts, etc. He also brings up complexity theory and does a brief comparison of the modern world to that of the Bronze Age, and I have to admit there are more things familiar than I would have thought. My Nerdarchy article this week looks all the way back at the year 1982 when the first Advanced Dungeons & Dragons video game was released for Mattel's Intellivision home gaming console. 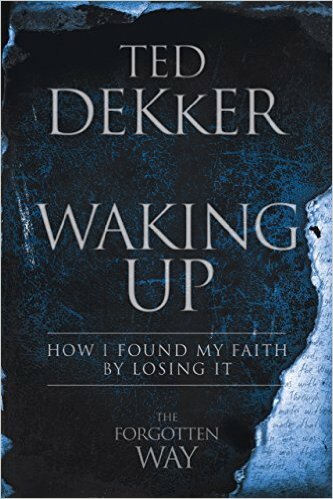 Notes: Subtitled "How I Found My Faith by Losing It," this short book is apparently the spiritual journey of bestselling thriller author Ted Dekker. It's not often you see a popular fiction writer talk about such subjects, at least not personally and in depth, so I thought I would look into it. Mini review: Throughout this book the author kept asking, "Can you relate?" Unfortunately, my answer has to be, "No, I cannot." This isn't a bad thing. The writer and I are simply on different spiritual/emotional/mental paths, at least at this point in my life. Really this is a teaser e-book for a longer, more informative, book, but I feel no need to go there after reading this. Other readers might find something here that strikes upon them, and I wish them well. Notes: After the wife passed and I was going through her computer, I found a note to herself to read this book. To my knowledge she never had the opportunity, but I thought I would. 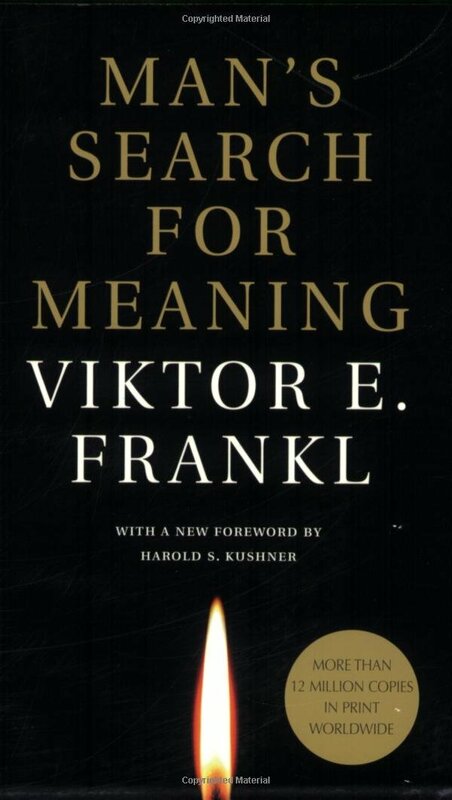 The author is a psychiatrist who survived Nazi death camps, and here he apparently shares his experiences as well as his own philosophical theories. The wife being part Jewish, perhaps her own background drew her to this man's writings, or perhaps it was something else. Perhaps, in her dwindling months, she was looking for meaning to her life, as most of us do when confronting death. If she had asked, I could have given her some answers. Mini review: A little more than half of this book are the author's accounts of his three years in concentration camps, and this is the most interesting part of the book, speckled here and there with some personal insights and opinions related to psychoanalysis. The later part of the book is a little drier and mainly an explanation of logotheraphy, a school of psychotherapy created by the author. In a lot of ways I found much to approve of in the author's philosophy and approach to psychoanalysis, especially how down to earth it was (which struck me as quite culturally Jewish), but I also saw some drawbacks in that it could be utilized in a simplistic fashion to give a patient "pull yourself up by your bootstraps" psychology, though I do not believe the author intends for this. I'll also add, yes, I found this book somewhat helpful in thinking about some things in my own life currently, though I didn't have a eureka moment or anything such. 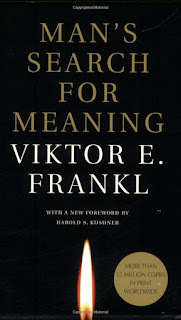 Anyone having existential difficulties might find this book a good place to start for working on their issues. My article this week over at Nerdarchy takes a look at non-gaming related YouTube channels that could still be of interest to Dungeons & Dragons players and fans of other tabletop rpgs. Swords, martial arts, and humor make up the list. Enjoy!